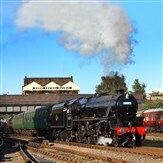 For those booking rail travel with us, we arrive in Telford for the transfer to our hotel for two nights, the Best Western Valley Hotel, a Georgian listed building with a riverside setting within the Ironbridge UNESCO World Heritage site. After an orientation walk with a local guide we enjoy our first dinner together. Continuing our tour of Ironbridge, we visit Blists Hill, a recreated Victorian town and time capsule of a bygone age. 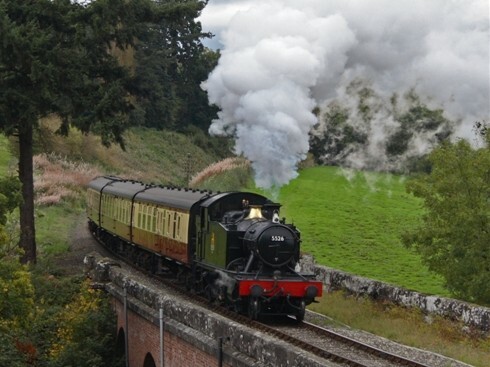 We follow this with a steam excursion on the Severn Valley Railway. 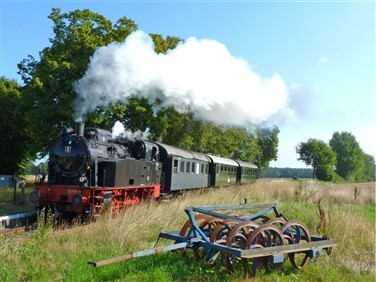 Preservation of this historic full-size standard gauge line began in 1965 and we take the scenic 16 mile route closely following the River Severn from Bridgnorth to Kidderminster. Departing Telford by train, we arrive in Chester where our hotel is the Hallmark Inn, convenient for the railway station. We take an afternoon stroll along the ancient City Walls to the Dee for a river cruise and charming views of the town from the water, returning through Chester's attractive city centre. 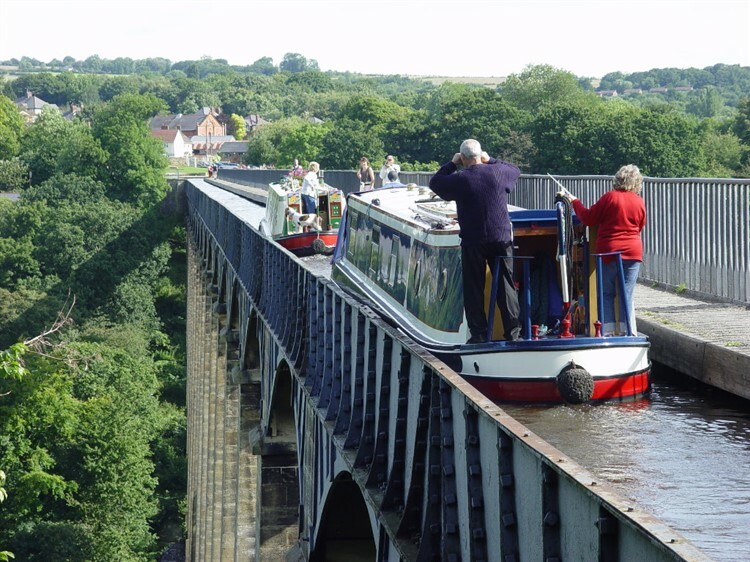 We coach across the border to the Llangollen Canal for a breathtaking aerial cruise across our first of our 'Six Wonders', the spectacular Pontcysyllte Aqueduct. 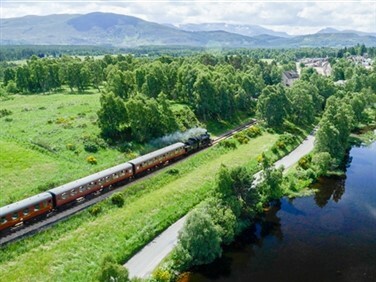 Crossing 126ft above the River Dee, it is the highest and longest aqueduct in Britain and a World Heritage site. 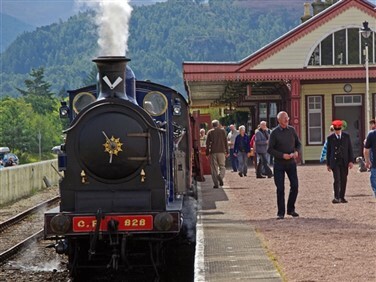 We continue by road to Llangollen with time to look around the delightful town before a thrilling return steam train ride along the beautiful Dee Valley to Corwen. 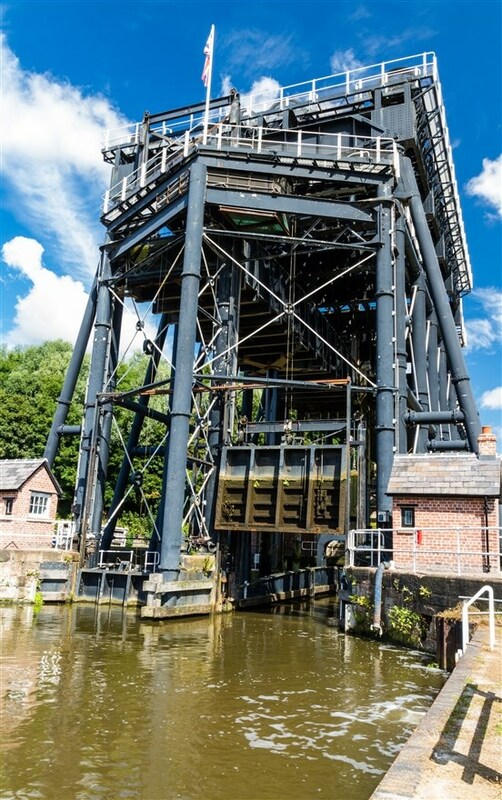 The second of our 'Six Wonders' is the Anderton Boat Lift where after taking refreshments we trace the history of canal carrying and engineering, taking the boat trip to descend the lift and cruising the River Weaver. 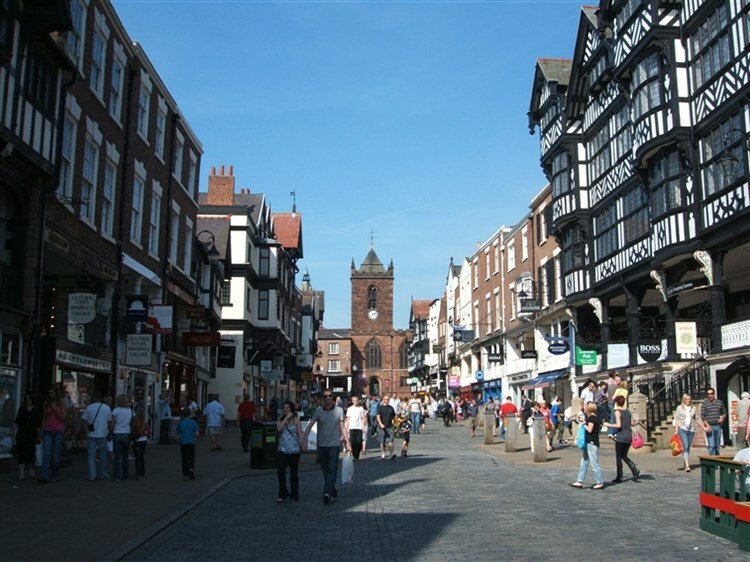 We return to Chester for an afternoon at leisure in the city's charming streets of black-and-white houses, its Roman museum, beautiful Cathedral, and the famous Rows. 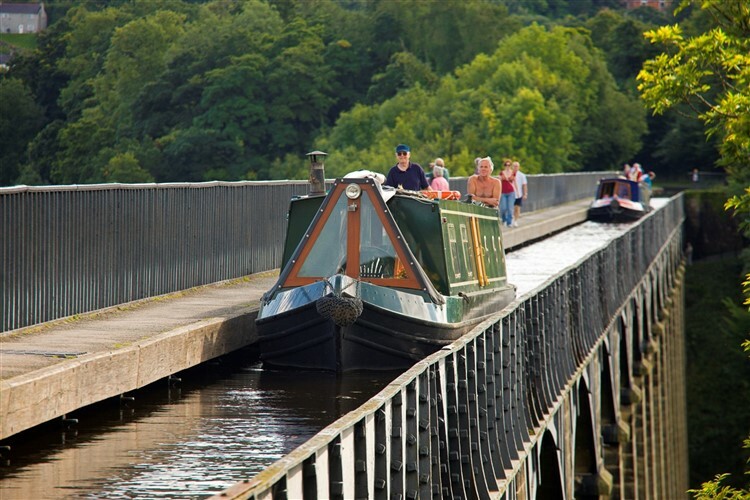 Walk the towpath below the towering walls, marvel at the massive and ingenious Northgate Staircase Locks, idle away a moment watching the boats in Chester Basin. There's something to see at every turn in Chester. 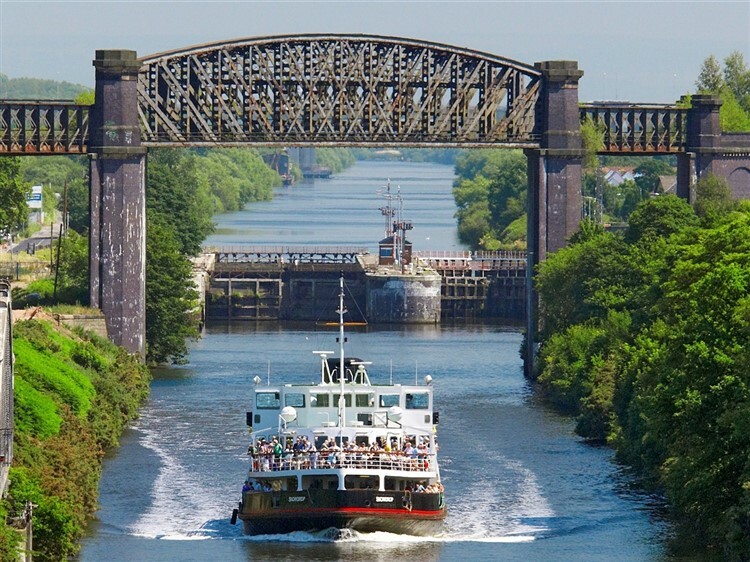 This morning we transfer to Wallasey to join one of the scheduled Mersey Ferries Manchester Ship Canal cruises, the mighty waterway that brought ocean-going freighters from around the world into the heart of the city. 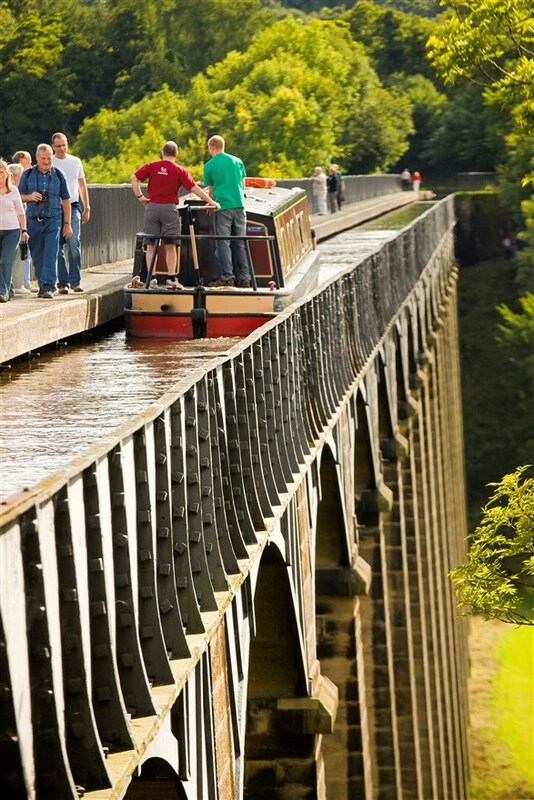 The route into Manchester passes lofty railway flyover bridges, locks and swing bridges on a breathtaking scale, as well as the third of our 'Six Wonders', the Barton Swing Aqueduct. The modern architecture of Salford Quays welcomes us to the city, after which we transfer for a night at the Best Western Oaks Hotel. 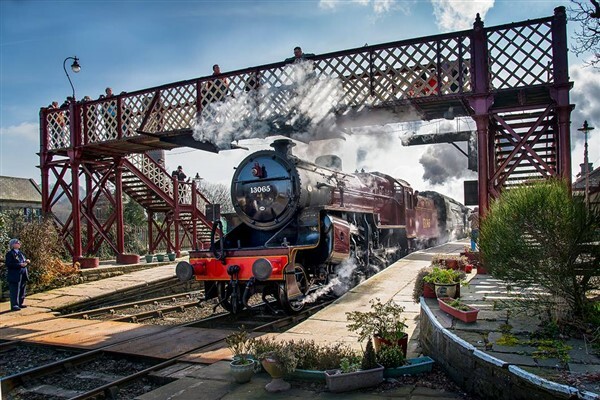 This morning we steam through the Lancashire hills along the River Irwell on the East Lancashire Railway, before returning to Burnley to visit the Weavers' Triangle, situated on the Leeds Liverpool Canal where many buildings from the cotton industry remain. A local guide takes us along the towpath to walk part of Burnley Embankment, the fourth of our 'Six Wonders', which carries the canal 60 feet above the town centre. Our train from Burnley Manchester Road transports us across the Pennines from Lancashire to Yorkshire and a great railway hotel, Bradford's Midland. From Bradford we make the short train journey to Huddersfield, whose iconic station boasts a classical façade, flanked by two grand former booking offices of rival railway companies (now both pubs). Outside the station, a statue of Huddersfield's most famous son, Harold Wilson, looks onto the George Hotel, the birthplace of Rugby League. 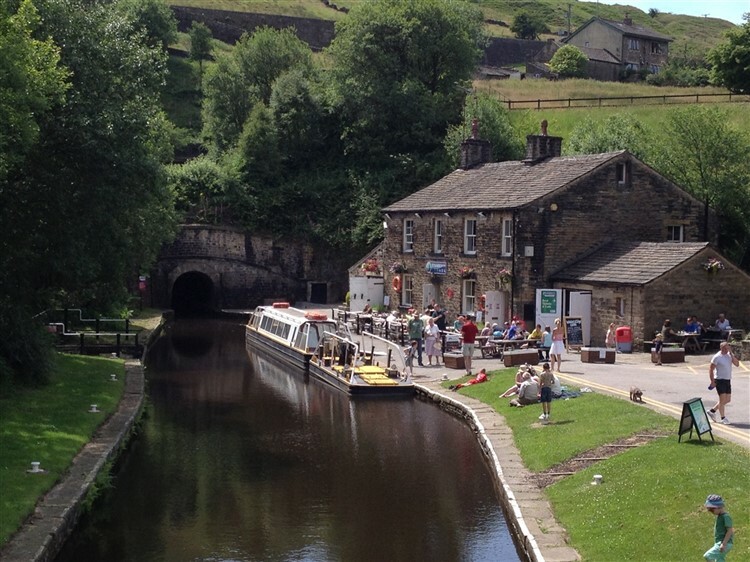 Changing trains, we climb into the Pennines to Marsden, where a short walk along the towpath brings us to Standedge Tunnels and a boat trip into our fifth wonder, the longest, highest and deepest canal tunnel in Britain. 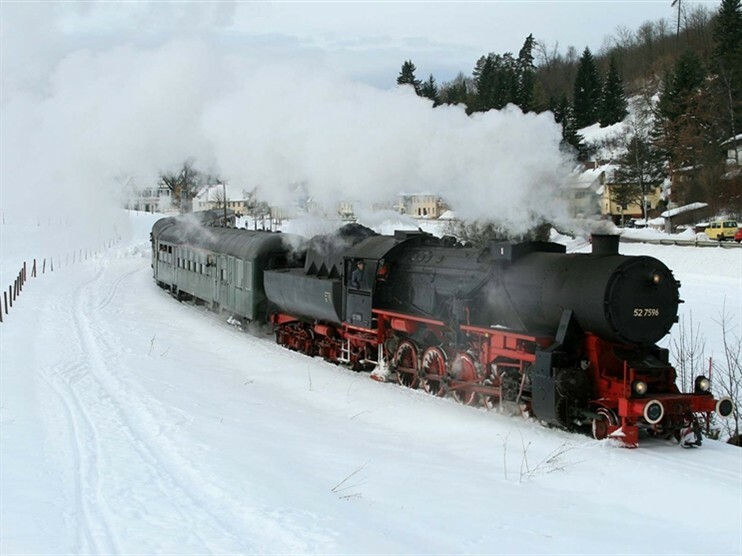 Our busy final excursion heads first by train to Keighley for a steam ride through Brontë Country on the Keighley & Worth Valley Railway. Our return is punctuated at Bingley for a towpath walk along our sixth wonder, Bingley's Five Rise Locks. Finally, we enjoy some free time at UNESCO World Heritage living Victorian village, Saltaire, where Salt's Mill houses exhibitions from local artist, David Hockney before our farewell dinner at the hotel. Bid farewell to Bradford as we make our way homeward. 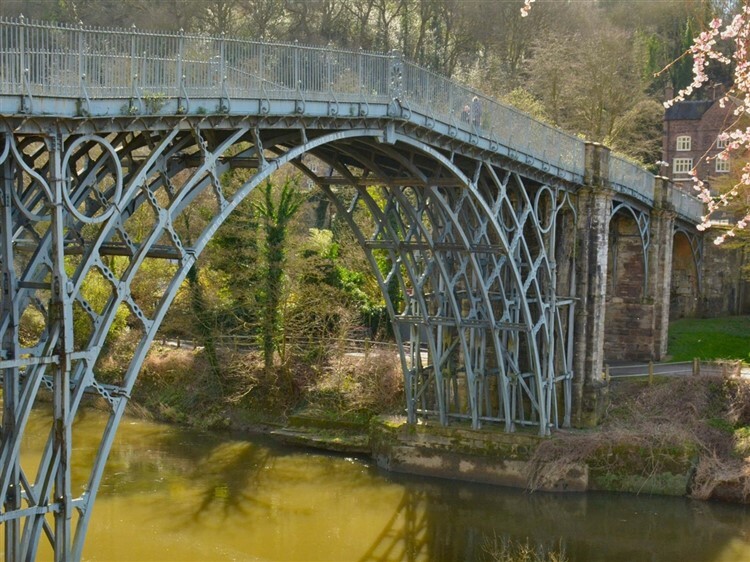 A country house hotel situated in the heart of Ironbridge, providing a perfect base for visiting the Ironbridge Gorge Museums. With a riverside setting and breathtaking views of the surrounding parkland, the hotel is a charming 44 bedroom Georgian listed building. Enter the Hallmark Inn Chester (formerly known as the Westminster Hotel) beneath their wrought iron sign and youre stepping into a living breathing part of a beautiful historic city. 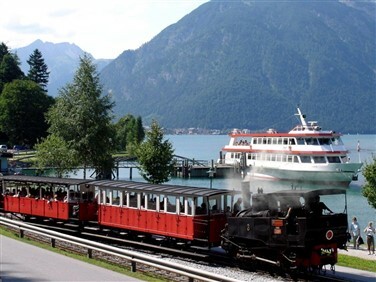 Sitting on one of the grand routes that link its famous railway station and town centre, the mix of brick and Tudor Revival black and white detailing has been a stop for travellers for many years. 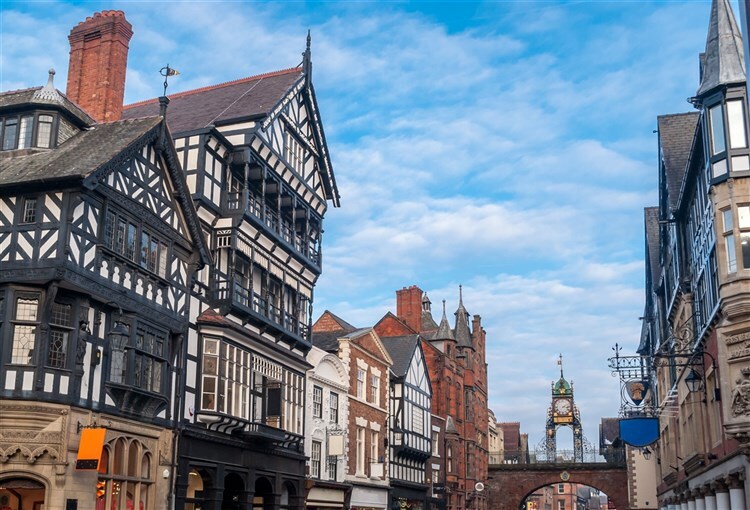 Its now an atmospheric 21st century hotel thats located just a short stroll from the heart of Roman Chesters heritage listed architecture, superb shopping and acclaimed restaurants. The Oaks Hotel in Burnley is set in relaxing grounds and a tranquil environment. It was once the private home of a wealthy local merchant and has been sympathetically restored to preserve the grandeur of a bygone era. Both the restaurant and bar are in the 'old house' and are perfect examples of how heritage can blend seamlessly with contemporary style with grand ornate ceilings and floor-to-ceiling windows.